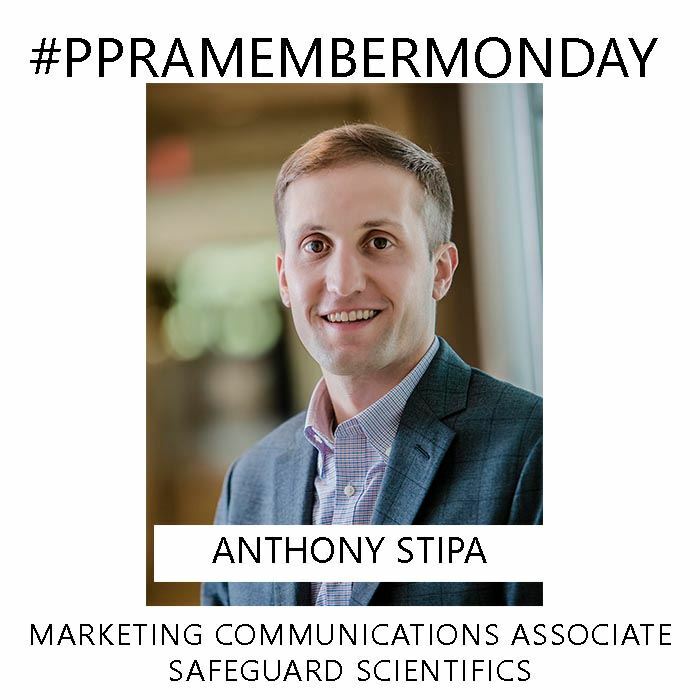 Anthony Stipa is Marketing Communications Associate at Safeguard Scientifics. Anthony has been a PPRA member for four years and serves as Treasurer of PPRA. A dedicated professional who has extracted insight from working in the broadcasting and media industries, Anthony has built a reputation for creating strategic communications infrastructure for growth stage companies. He's represented some of the Greater Philadelphia region's most recognizable brands and helped lead companies through business transitions. At Safeguard Scientifics, Anthony works to promote the corporate brand and assist partner companies mitigate challenges of scaling. PPRA: What projects are you working on right now? AS: I am working with a NYC-based fintech company to communicate the value proposition of their technology to a new market. They are partnering with a known bank, and my goal is to leverage this relationship to generate leads. AS: Advising first-time CEOs on the common pitfalls of media interviews. AS: Leading a seamless leadership transition at healthcare IT startup, from the original founder to the newly-appointed CEO. AS: Advocating for the little guy -- the small and/or "rising" company -- can be very rewarding. Punching the established brands, and chewing into their share of voice is valuable experience. You gotta believe in your product, company, or technology. AS: Happy Gilmore is an all-time favorite. Currently, I'm reading "The Last Days of Night" by Graham Moore. It's about the battle for the lightbulb patent in the 1800s, featuring some compelling characters -- Edison, Tesla, Westinghouse. AS: You can catch me at Bluestone Lane at 17th and Locust for coffee meetings. AS: Whiz wit. And I'll always be a Dalessandro's guy. More bang for your buck.